Posted April 30th, 2014 by David Porter & filed under General, Hot Topics, Social. Human Type Face Makes Change from Arial and Courier When we run out of animals, birds, landscapes, cities, minds to inspire us and to plunder to make art, we have always got the good old human body. From the furthest shores of the dark mind comes these letters. 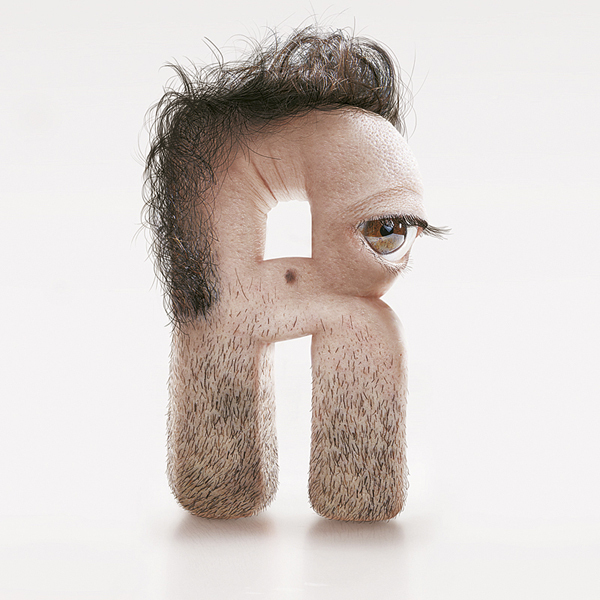 There are 7 members of creative art studio Kerozen and with one each to match the 7 letters in their title, they decided to use images of themselves – hair follicles, warts and all. This puts selfies and self-googling into perspective somewhat. Now it’s self-fonting. 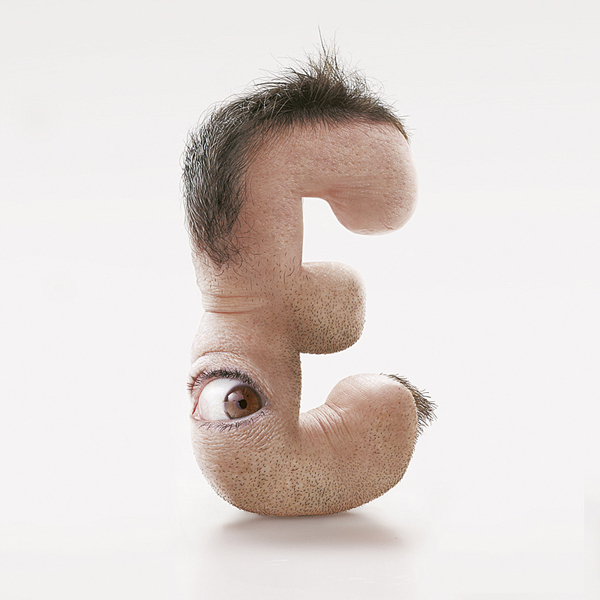 The result is an almost terrifying, certainly uncomfortable new typeface and set of self portraits. Will it catch on? Who knows.